The 2014 Taiwan Ceramics Biennale (TCB) is sure to establish Yingge Ceramics Museum in New Taipei City, Taiwan, as one of the institutions at the forefront of contemporary ceramics. The title of the 2014 TCB is Terra Nova: Critical Currents / Contemporary Ceramics and we mark the beginning of the biennale with an opening party on 2 May. The exhibition open to the public for five months, from the 2nd of May to 12th of October. 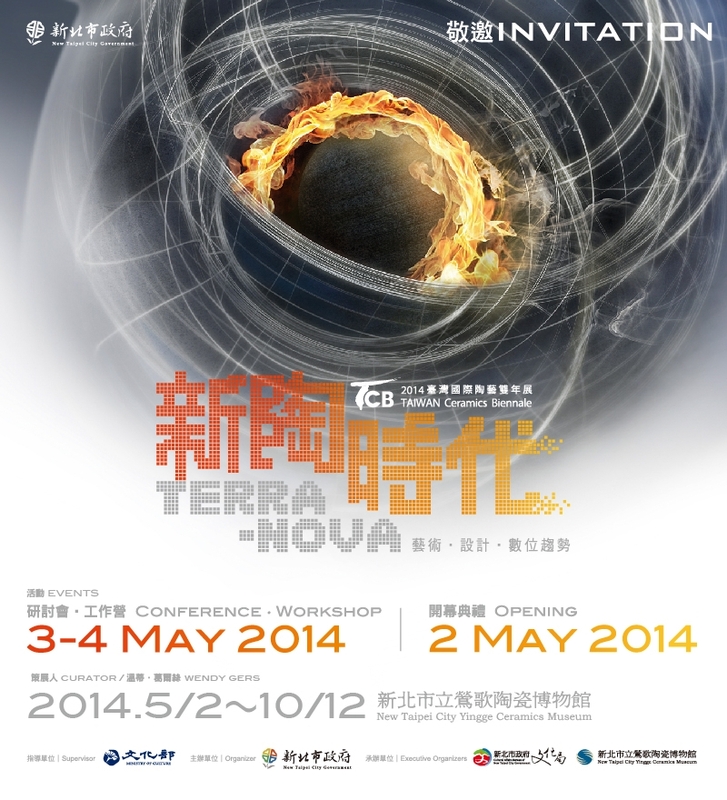 The 2014 TCB Conference, which has become an integral part of the biennale, and a series of master classes and workshops take place in Yingge Ceramics Museum on the 3rd and 4th of May.